In 2019, The Mailboxes will be releasing a new album and combining their passions for the outdoors and the arts as part of a unique album campaign. They are going to play an album release concert in their hometown of Chattanooga, Tennessee on March 2, 2019 and then hike the Appalachian Trail from Georgia to Maine playing ukulele renditions of their new songs to people they pass on the United States’ most popular trail. Then they will continue from Maine on a 2-month national tour playing shows in all major cites across the US and even in Canada. 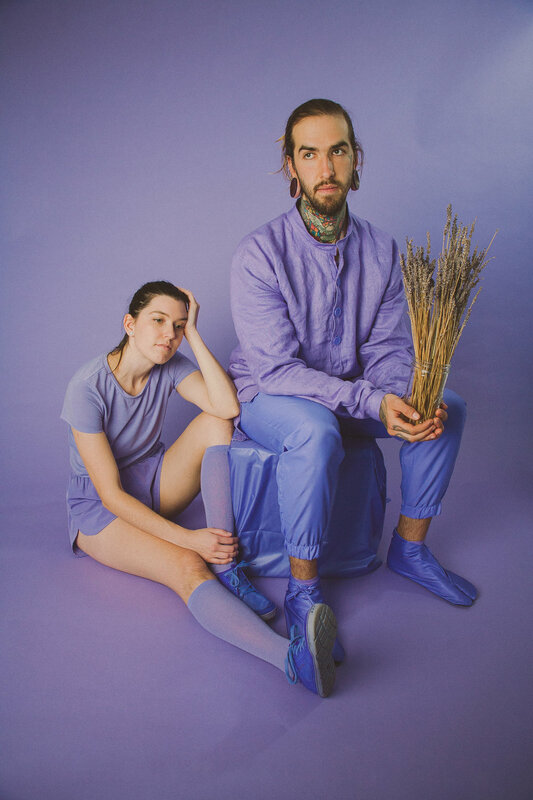 For the journey, they will be making their own lavender gear and clothes to wear and use on the trail and tour. For things they cannot make they are either looking for lavender versions or turning gear they need into lavender through dyeing, painting, or whatever process necessary. They need sunglasses that are functional for thru-hiking and that also match the lavender aesthetic for the trail and tour. Ray-Ban makes sunglasses that are perfect for the outdoors and traveling musicians. The Wayfarer Ease sunglasses in Transparent Violet Mirror would be a perfect match for both our aesthetic and would be functional because they contain polarized lenses that are beneficial for hiking. The Mailboxes are interested in promoting Ray-Ban during their campaign through videos, social media posts, and press in return for 2-6 pairs of The Wayfarer Ease sunglasses in Transparent Violet for the band members and tour crew to wear during the trail and tour. We are customizing our clothes, tent, backpacks, guitars, amps, and drums in lavender as well and we need the sunglasses to match! The duration of the project and proposed partnership will be from February 2019 to November 2019. Our target audience that we reach the most is Female College Students who love music, the arts, and being outdoors! We will also be reaching other bands and tons of hikers and adventurers on our journey as well as old and new fans of our music. We think our target audiences overlap and would love to promote Ray-Ban to our fans we already have and ones we plan to make on this journey and through our national campaign. We already have other endorsements from brands such as Fender, Kala Ukuleles, TreeHouse Drums, Crocs, Astral Footwear, and several outdoor food companies. We’d love to promote Ray-Ban alongside these other amazing brands we love!